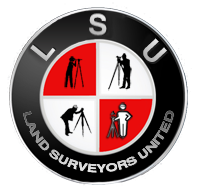 This application will allow Surveyors to take site readings and reduce the levels real-time in the field. No more waiting until you get back to the office, or doing it while you're in the field. The app is FREE, and intially comes with 25 Turning Points or IDs. The IDs are inexpensive "consumables" that you must purchase to record the site readings. Once you have the initial readings, you can enter the Foresight (FS) readings. The "reduction" of each Foresight reading is computed immediately. The final reduced readings are saved on the iPhone, or sent by email for later printing.